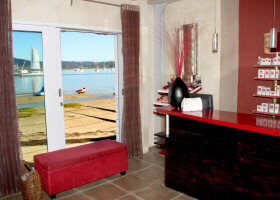 Le Spa Tranquille is situated on the edge of the scenic Knysna Lagoon in Thesen Island Harbour town. Restore your well being by indulging in treatments on offer from vichy shower scrubs, massage, hot stone therapy, reflexology, body wraps, specialised Clarins and Guinot facials and bridal treats to OPI manicures and pedicures or surrender yourself to one of our Half day or Full day Packages on offer that will pamper you from head to toe. Relax on a lounger on the pool deck and soak up the view before and after a pampering treatment or unwind in a soothing Hydrotherapy Jet Bath or even an eucalyptus infused Sauna cabin before beginning treatments. 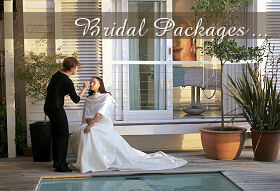 Le Spa Tranquille has a wide range of treatments on offer to ensure all needs are met. We also cater for groups, personal needs and requests. Gift vouchers available on request for all treatments on the price List. Courses of 6 Clarins/Guinot Treatments available for the price of 5!! How was your Treatment at Le Spa Tranquille? Saturdays : 8:00 - 14:00 . Except for extended Packages. Later appointments accepted by prior arrangement. We are open on all Public Holidays except for 25, 26 December and 1, 2 January.